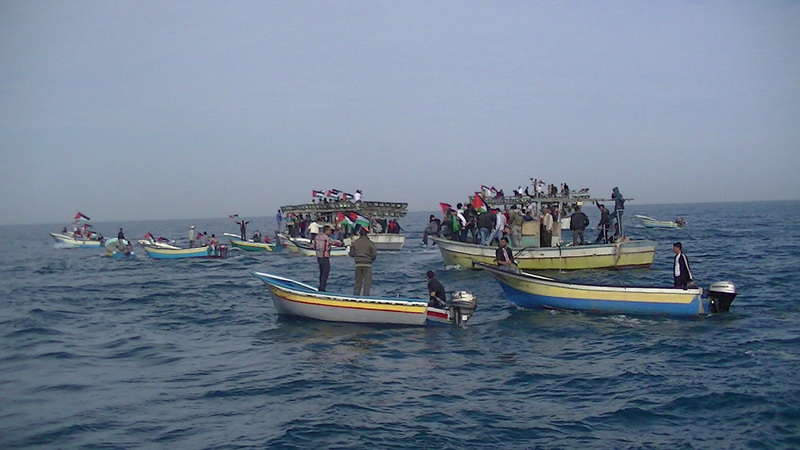 On Monday 2 December 2013 Gazan fisherfolk and hundreds of their Palestinian supporters as well as international activists participated in a flotilla to highlight the Israeli restrictions, harassment and violence against fishermen. 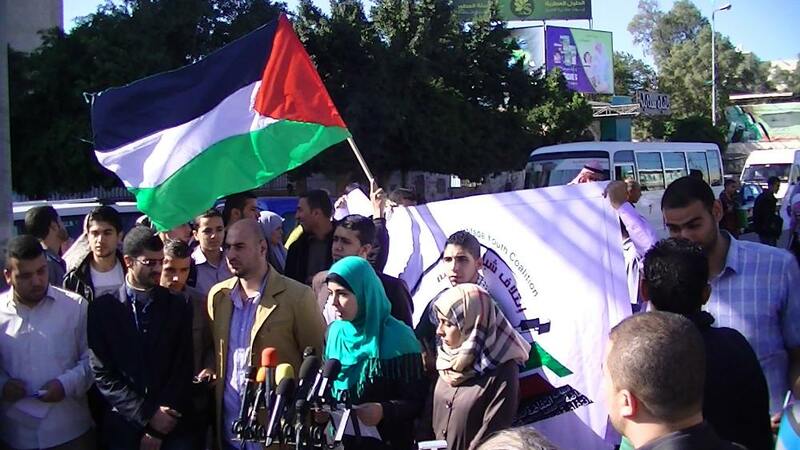 The demonstration was organised jointly by the General Union of Fishermen and the Intifada Youth Coalition. 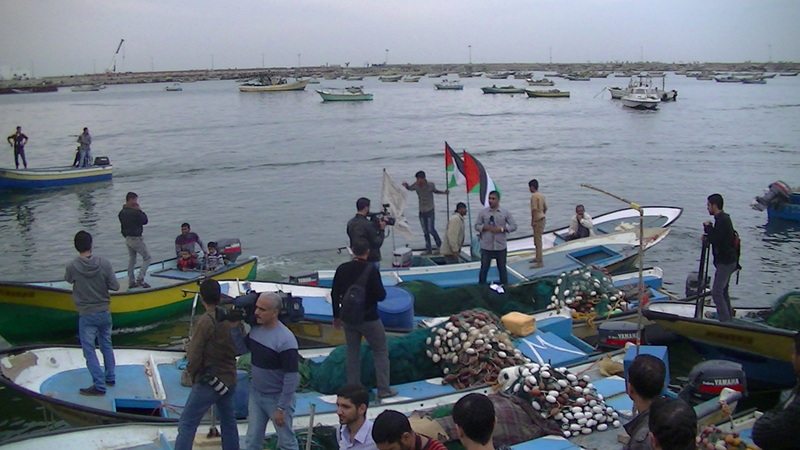 The General Union of Fishermen represents fishermen from all over the Gaza Strip. For a full report of the day see here. 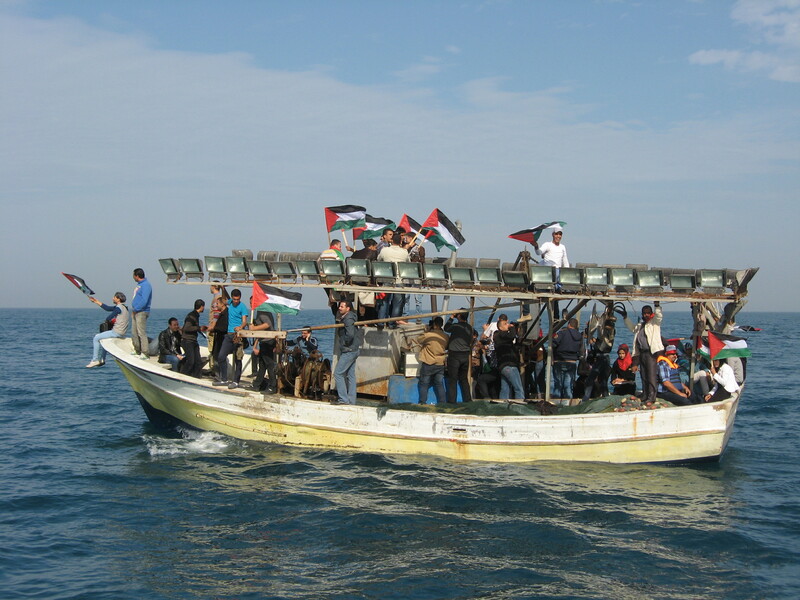 Palestinian fishermen are regularly arrested and shot at by the Israeli navy who occupy Gaza’s waters. 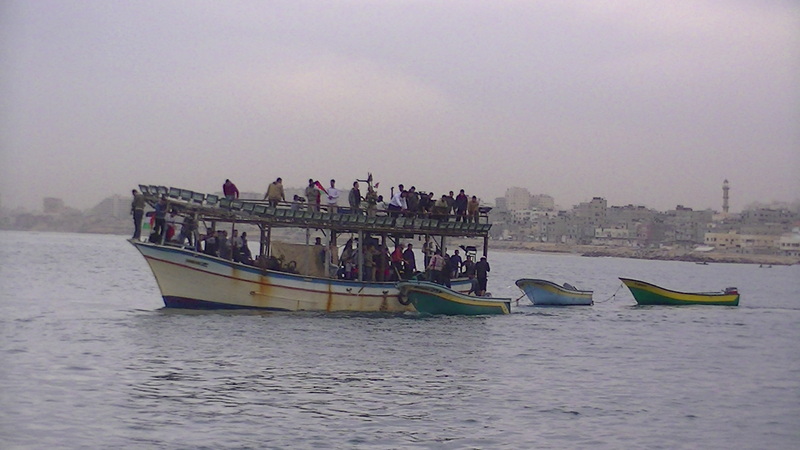 Gazan fishermen regularly have their boats and nets confiscated and are prevented from pursuing their livelihood. According to the Gaza based Al Mezan Centre for Human Rights between the start of 2013 and the beginning of November “Israeli occupying forces carried out 132 attacks against fishermen, during which 18 fishermen were arrested, eight fishermen were injured, seven boats were confiscated, and nets were destroyed in seven incidents”. Are Israeli security forces using information from mobile phone service providers for intimidation? On the night before the flotilla was due to take place several fishermen reported receiving phonecalls from the Israeli security forces threatening that if they participated in the flotilla they would be arrested and their boats would be confiscated. It is not clear how the Israeli security obtained their phone numbers but it seems likely that they had obtained them from the Jawwal company. This is not the first example of Israeli forces using Palestinian phone networks for psychological operations against Palestinians. After the Israeli military found a tunnel being constructed from Gaza below the Green Line in October 2013, Gazans received text messages saying that the Hamas government was ‘spending millions on tunnels which should be spent on the Gazan people’ (see http://www.worldtribune.com/2013/10/21/israeli-text-messages-warn-gazans-not-to-help-hamas-build-tunnels/). The flotilla was dubbed the Sumud Flotilla. Sumud, or steadfastness, refers to the everyday resistance of Palestinians stubbornly going about their daily lives despite Israeli repression and the refusal of Palestinians to leave their lands or to give up their livelihoods. 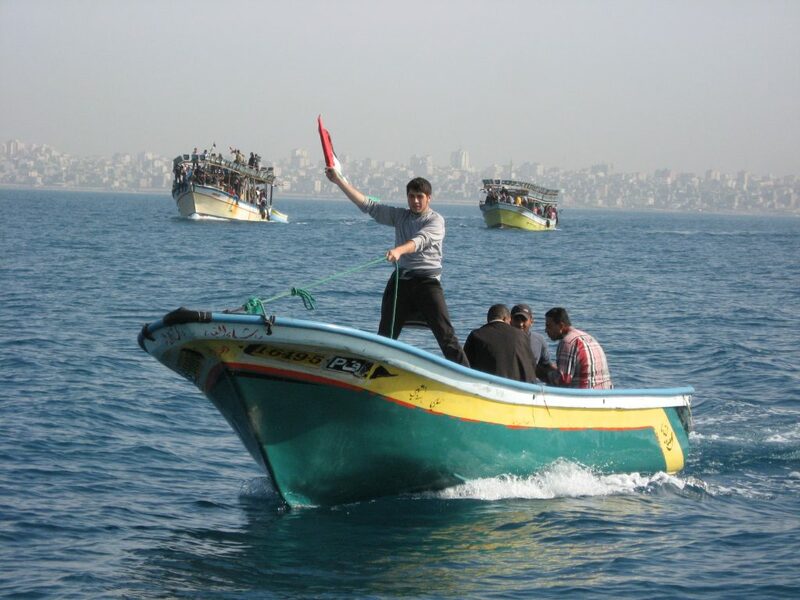 The aim of the flotilla was to highlight the harassment and violence faced by Palestinian fishermen, even when fishing in the area which is permitted by Israel. Since the Israeli attack on Gaza last year, dubbed Operation Pillar of Cloud, Gazan fishermen have been ‘permitted’ to fish 6 nautical miles from the shore. This was an extension of the 3 mile limit which had been in place from the end of the Israeli attack of 2009 to the 2012 ceasefire. However, in the 1990s the Oslo agreements set the permitted area at 20 nautical miles (see here). All these restrictions which have been placed on access to the sea, either through agreements or through unilateral Israeli action are an unacceptable imposition on Palestinian freedom of movement. 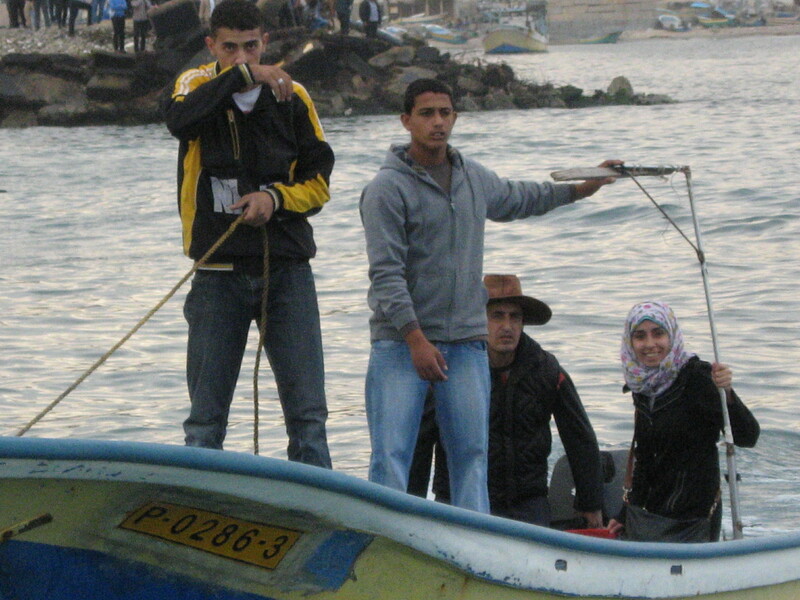 In practice the fishermen are attacked by Israeli boats even when they are fishing as little as a mile from the shore. For example, last Wednesday 27 November Israeli boats opened fire on Palestinians and then arrested 2 fishermen and confiscated their boat while they were sailing approximately 1 nautical mile from the seashore off the coast of Rafah. 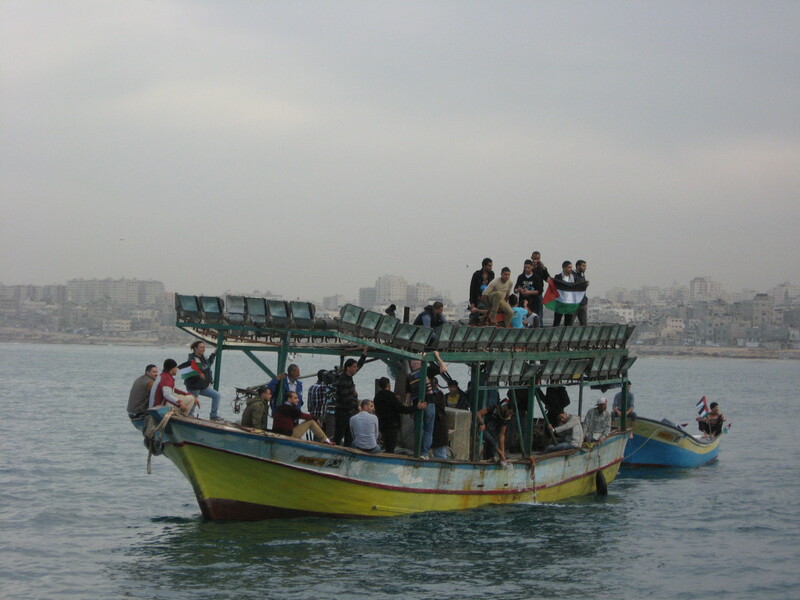 The Sumud flotilla reached 4 and a half nautical miles from the shore, near the limit of where Palestinians can go to fish. 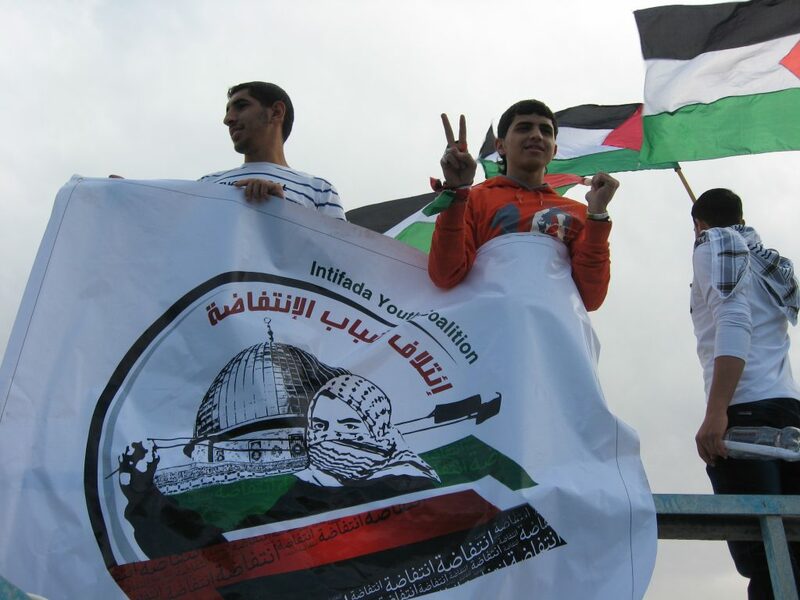 The flotilla went unmolested by Israeli boats, although an Israeli drone was seen overhead. This was probably because of the presence of the media and international activists. 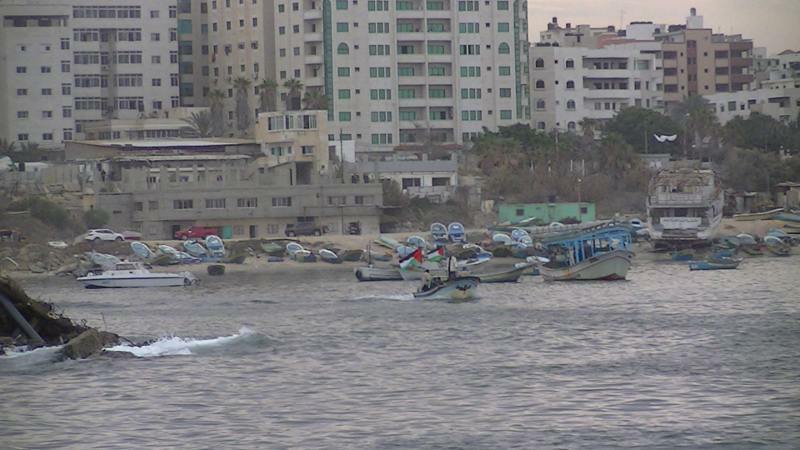 Barely a few hours after the flotilla returned to shore there were reports of two separate attacks against fishermen by the Israeli navy. Palestinian human rights groups and farming organisations have called on the international community to act to prevent Israel’s crimes against fisherfolk and farmers. What an inspirational action! A demonstration of great courage against overwhelming odds. Israel would like nothing better than for the world to see “Gazans” as a non-people. I believe it is essential to stress at all times that the inhabitants of Gaza are just as Palestinian as those living in historic Palestine, the West Bank, East Jerusalem and in exile elsewhere. Thanks to the corporate Press, people in general are not well informed of the plight of Palestinians and it behoves us not to add, in the slightest degree, to any confusion.